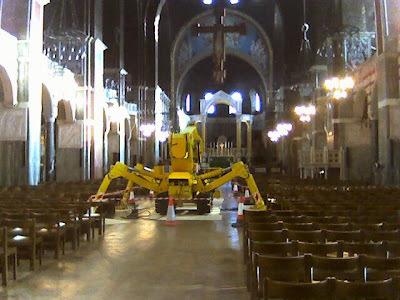 Visiting Westminster Cathedral this afternoon, I thought that I was in a scene from "The War of the Worlds." Mgr Mark Langham explains all on the Cathedral blog. Apparently, at night, they are inspecting the vaults.